Get some bits of information (from storage), like 0010 and 0101 along with an operation to perform on them, like addition. Perform the operation and store it for short-term or long-term use. 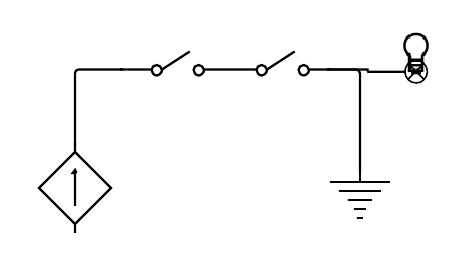 Computers are able to perform these operation with simple logic gates that are similar to the physical switches and relays used in the earliest computers. Logic gates are combined together to produce calculating devices and are the fundamental physical logic of a computer. You could even build your own calculator by combining together enough logic gates. The CPU is "in charge" of the actual computation a computer does, and it uses an Arithmetic unit built with logic gates to perform the actual operations. It also has a control unit which manages the flow of bits around the CPU. Below is an animation from Virginia Tech of the CPU at work getting data and adding it together.